Early on in my entrepreneurial career I hosted a lot of events. I lead some professional groups and was the president of an American Marketing Association chapter. While these events gave me exposure, they didn’t lead to significant business. The problem was I didn’t have a strategy or systems for leveraging these opportunities. Over the last few years, I’ve mentored with industry experts, attended trainings and have gone through rigorous certification processes to become a magnetic marketing advisor, business coach and enter-training speaker. These resources have helped me developed a solid system for turning opportunities into business growth gold mines. For example, recently I was asked to speak at an event in Orlando. I knew there would be approximately 30 people at the event. Rather than attempting to sell my professional services at the event, I used a different strategy. I delivered a valuable presentation sharing some of my best insights and letting people get a sense of who I am as a person. At the end of the event I made an offer for a special book package which included several strategic items. 20% of the people in the room bought the package. 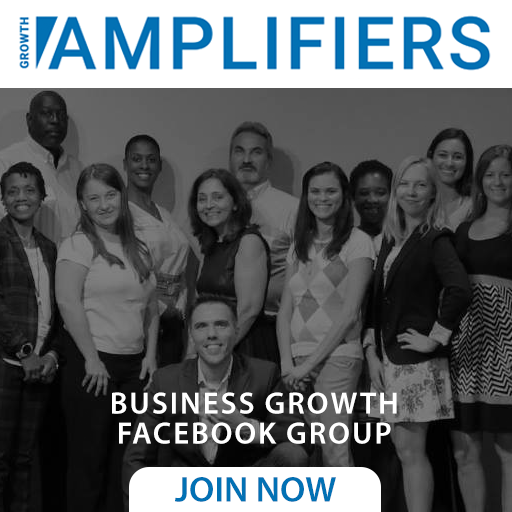 The people who bought the package went into our Amplified Business Growth System. A few of the buyers elevated to become clients and also referred additional new business. This strategy generated over $70K in sales attributed to the event! Much better than a stack of business cards. This is not rocket science, however I see many business professionals speaking at events and not leveraging a strategy or systems to maximize the opportunity. For me, it’s not about how much money I can make, it’s about how many people I can help. When I help more people, I happen to make more money. Motives matter. Rock My Image works with business professionals to develop the strategies, tools and systems to leverage events to their full potential. Whether it’s a speaking event, networking event, trade-show, expo or social you may be leaving opportunities on the table. 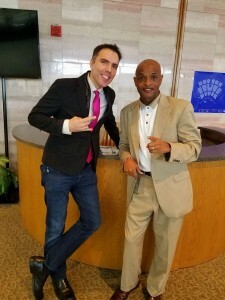 We’ve worked with Speakers, Authors, Consultants, as well as professionals in the following industries: Medical, Financial, Real Estate, Business, Sales, Retail, Trades and many more. 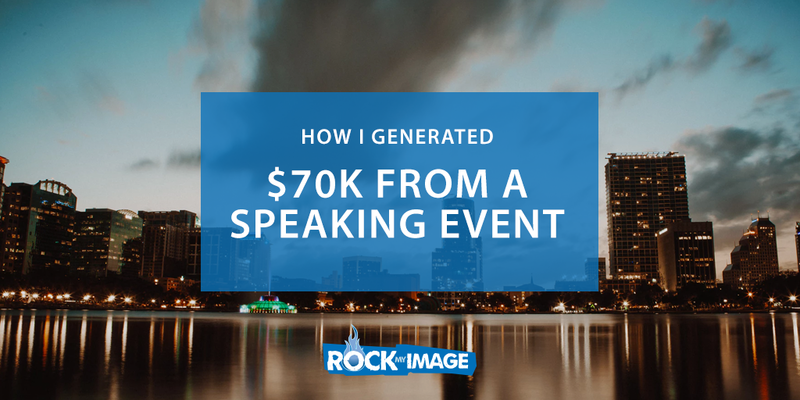 If you are interested in learning how Rock My Image can help you maximize your event opportunities, turning stacks of business cards to real profit, schedule a breakthrough session with me and I will share my top secrets.